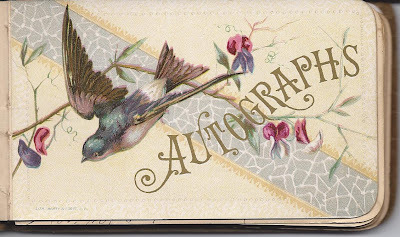 1880s autograph album of Abbott B. Cragin of Farmington, Maine. 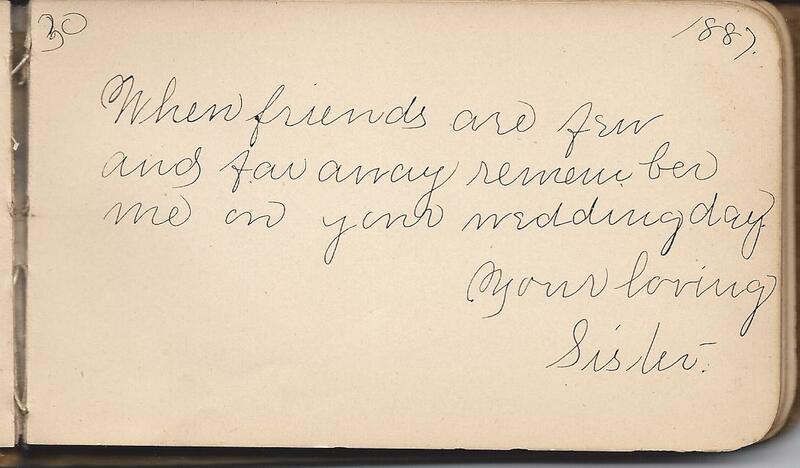 The album is approximately 5-1/2" x 3-1/2" and contains 31 autographs of relatives and friends, plus a page inscribed by Abbott himself. 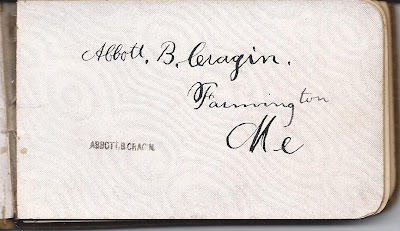 Abbott Belcher Cragin was born 1 September 1873 at Farmington, Maine, the son of George Bates Cragin and wife Abby Doty (Belcher) Cragin, born in Embden, Maine, and Farmington, Maine, respectively. 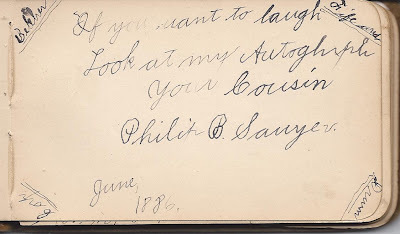 His paternal grandparents were John and Achsah J. 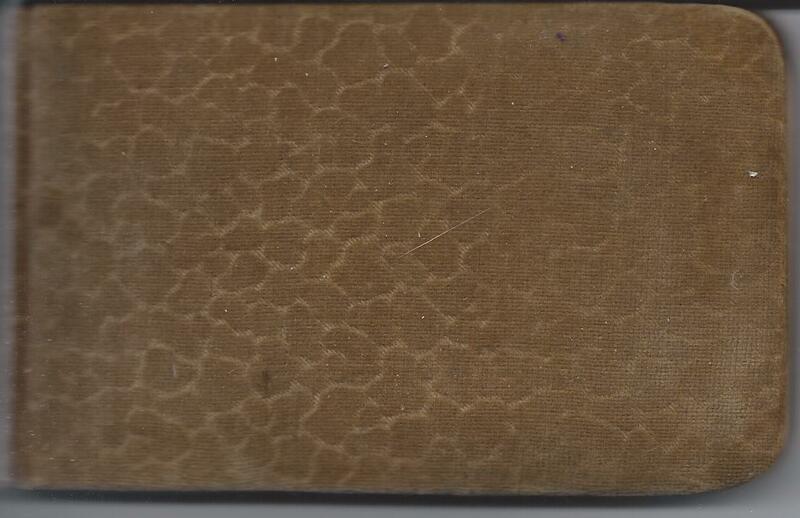 (McFadden) Cragin. 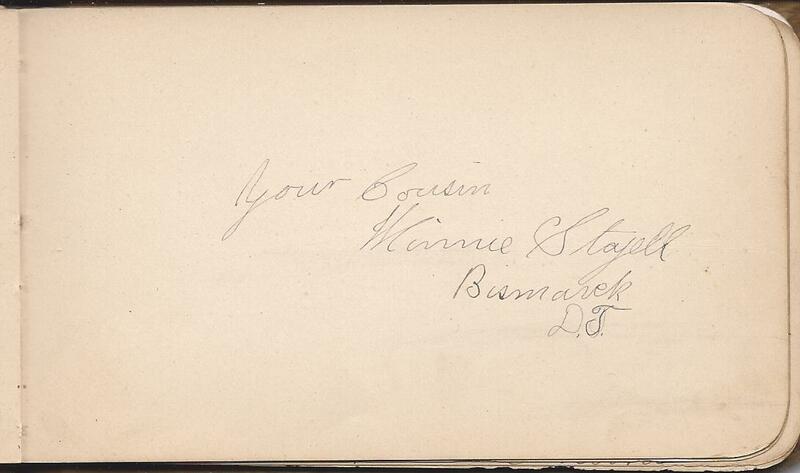 His maternal grandparents were Hannibal and Lucy Ann (Brett) Belcher. In 1910 at Waterville, Maine, Abbott married Elizabeth Helen McFadden, daughter of Andrew Lockwood McFadden and wife Florence Helen (Totman) McFadden. 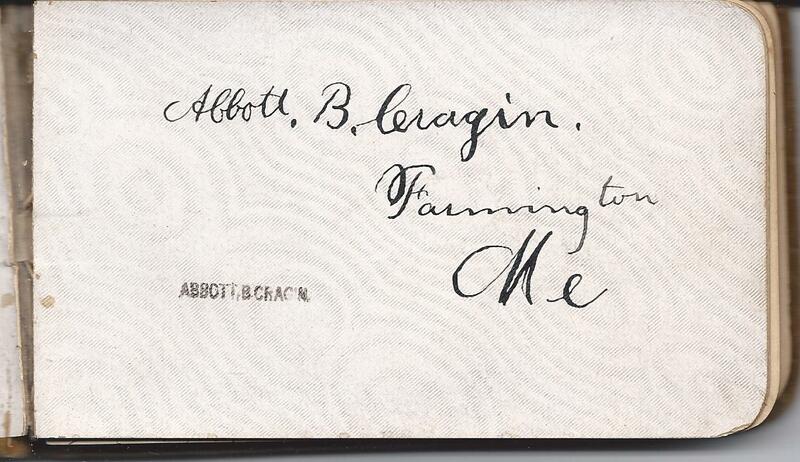 The couple went on to raise a son at Waterville, where Abbott worked as a clerk in an area pulp mill. 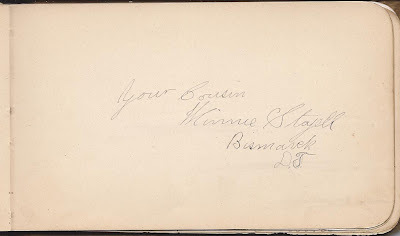 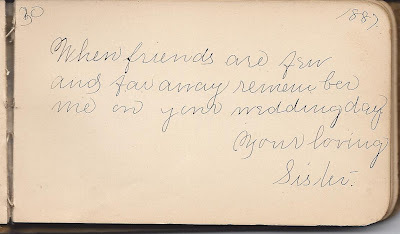 Cousin Winnie Stayell or Minnie Stayell of Bismarck, Dakota Territory signed a page. 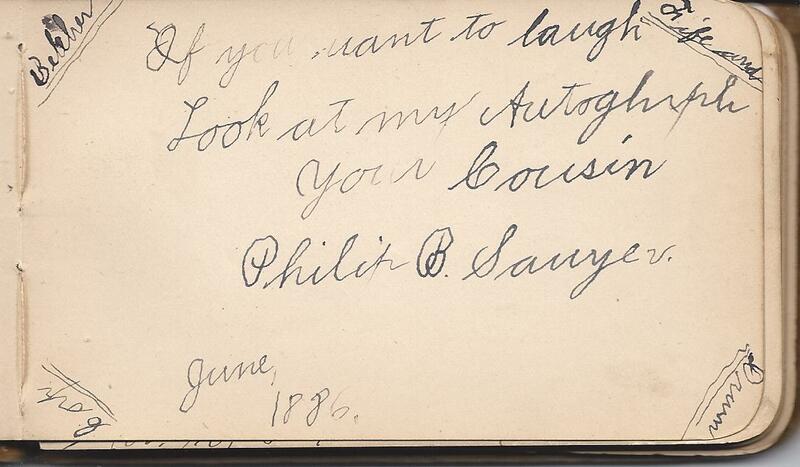 She didn't date her entry, but apparently signed the page before North Dakota became a state in November of 1889. 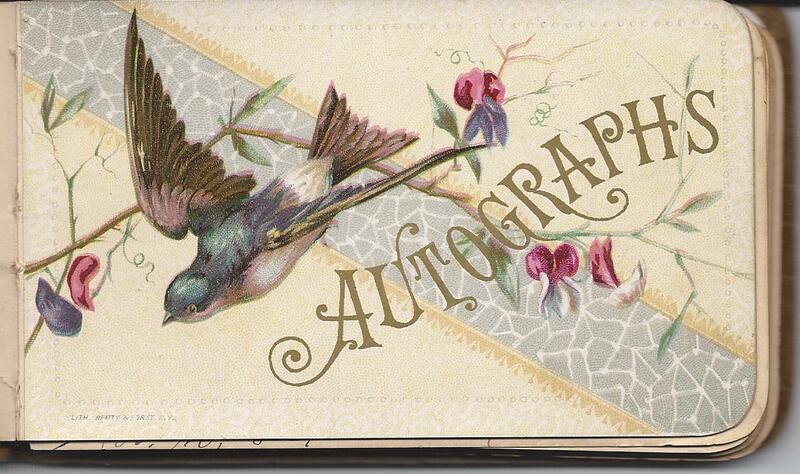 If you have any corrections or insights regarding the information provided above or the signers listed below, please leave a comment or contact me directly.